Concise, portable, and packed with essential information, Manual of Clinical Oncology is an indispensable resource for understanding basic science, clinical findings, and available technology as they relate to the diagnosis and management patients with cancer. The practical format provides high-yield content useful for participating in rounds ad making diagnostic and therapeutic decisions at the bedside. Edited by Dr. Bartosz Chmielowski and Dr. Mary Territo, both from UCLA School of Medicine, this eighth edition carries on the tradition of excellence set forth by longtime editor Dr. Dennis Casciato. Incorporates recent major achievements in immunotherapies, biologics, and targeted therapies. Features new chapters on the biology of cancer, immunotherapy, and cancer survivorship. Contains numerous diagnostic and treatment algorithms, as well as content on complications, for assistance with clinical decision making. 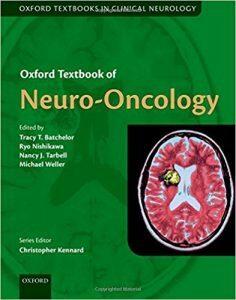 Includes helpful appendices such as a glossary of cytogenetic nomenclature and combination chemotherapy regimens. 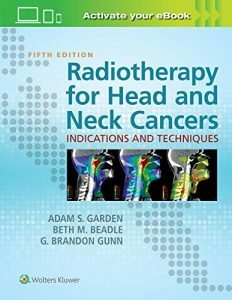 “Now in its eighth edition, this remarkable, concise, and portable manual is packed with essential information that seamlessly integrates basic science and clinical sciences with technological advances as they relate to the diagnosis, prognosis, treatment, and management of a variety of cancer types. 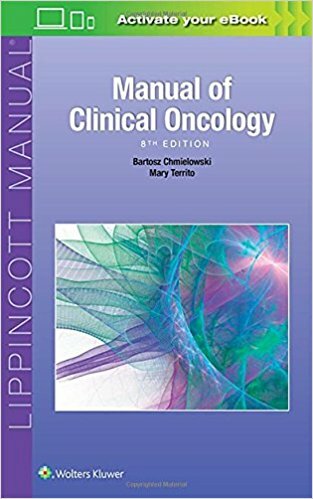 The manual is well organized into four major sections: general aspects, solid tumors, hematological malignancies, and complications. Each section contains several chapters written by experts actively engaged in clinical research. 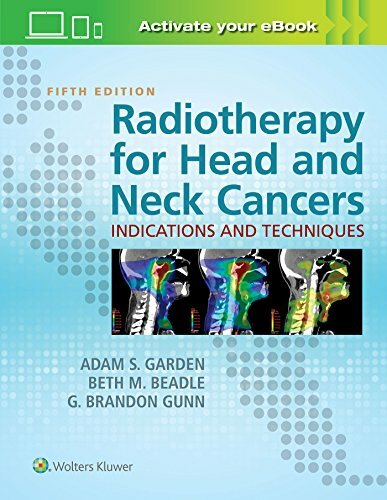 While Sections 2 and 3 cover the most common cancers and contain the expected information, it is Section 4 that is quite remarkable, providing useful information on complications ranging from metabolic complications to those from stem cell transplantation, which is uncommon in standard works in this area. A unique selling point of this book is the outline format with bold headings and subheadings that makes it easy to access pertinent information and makes up for the (almost) total lack of figures and illustrations. Weighted Numerical Score: 94 – 4 Stars!